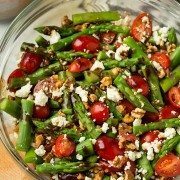 It’s been far to long since I shared a salad recipe here. It seems as though I’ve shared every kind of salad out there but I’ve been missing a sun dried tomato salad. I love those shriveled little bits of sun kissed tomatoes, they might be small but they pack a lot of exciting gourmet flavor. Try it! You’ll love this combination of goodness! 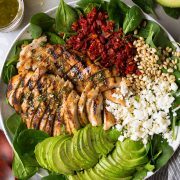 What Ingredients do I Need for This Salad? Cook the quinoa and chill, or just use left over quinoa from a day or two ago. 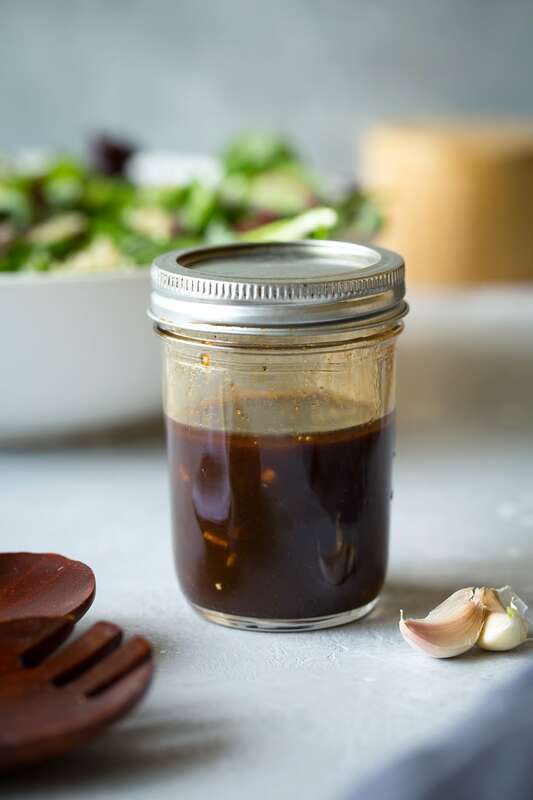 Add all the dressing ingredients to a mason jar, cover with lid and shake to emulsify. 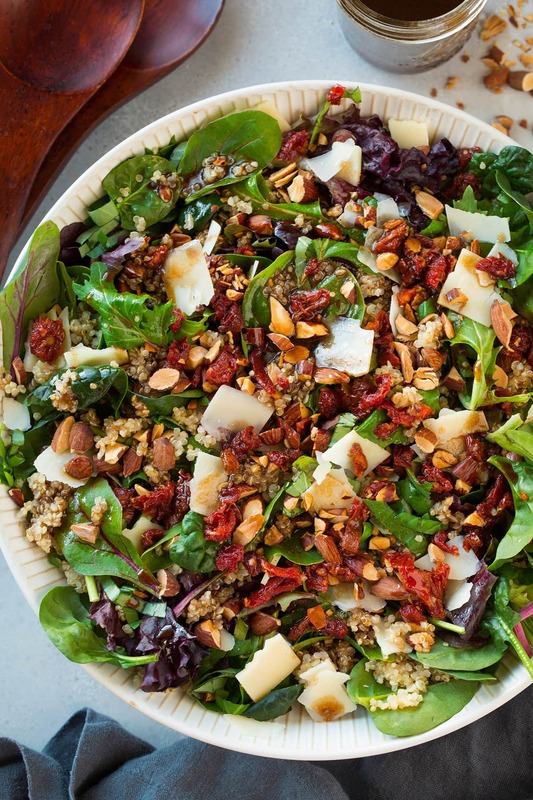 In a salad bowl layer together spring lettuce blend, basil, quinoa, parmesan, almonds and sun dried tomatoes. Shake dressing again then pour over salad and toss. Serve right away for best results. Which Type of Quinoa Should I Use? I used brown quinoa but a tricolor blend will work great here too. 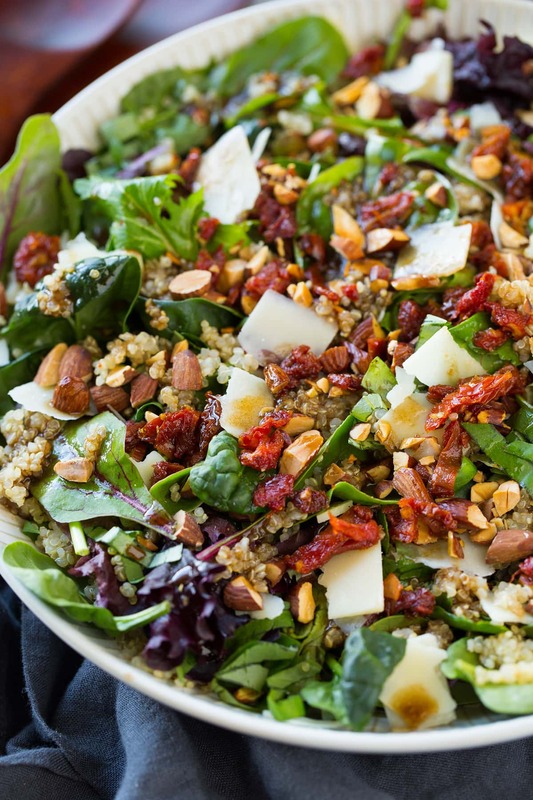 This salad can definitely be made vegan, just replace the honey with maple syrup and the parmesan with vegan parmesan or omit the cheese. Can I Make This Salad Advance? 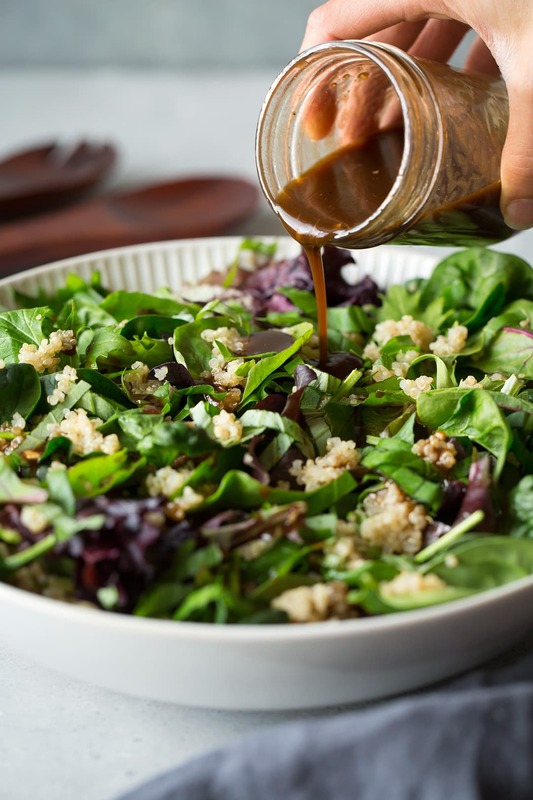 The salad and dressing can both be made in advance but store separately, and be sure to add chilled quinoa to the lettuce blend otherwise it will cook and wilt it. Want to turn it into a main course? You can definitely add chopped rotisserie chicken or grilled chicken here as well. 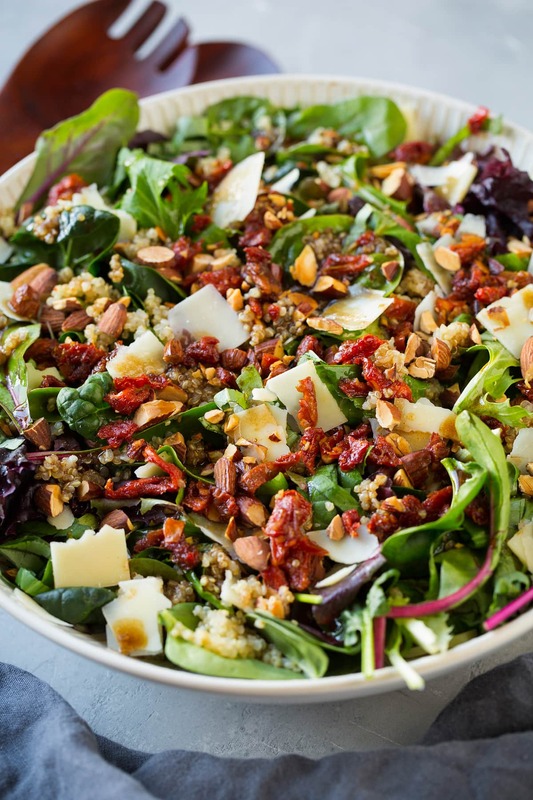 A salad layered with tender spring lettuces, hearty quinoa, crunchy toasted almonds, bold parmesan, chewy bright sun dried tomatoes and a final finish of a tangy, rich balsamic vinaigrette. 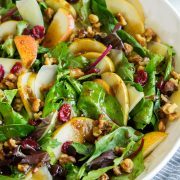 So much goodness in one super satisfying salad! For the dressing combined all of the dressing ingredients in a jar, cover with lid and shake to blend. Shake dressing again and pour over salad.